You can now buy and sell bitcoin for over $8,000 on all exchanges, and even for over $8,150 on some of the most popular ones. $8,000 is an important milestone for bitcoin after some complicated weeks. When you compare the price of bitcoin today with what it used to be back in December of last year, it’s quite disappointing. From December 1st until January 31st, one bitcoin was worth over $10,000. At one point, a single bitcoin was worth nearly $20,000. It’s been a lot more boring since then. After reaching rock bottom on February 6th at $6,465 per bitcoin, the cryptocurrency bounced back to over $10,000 but never really recovered completely. It’s been a slow and steady downhill slope since then. The good news is that bitcoin has performed a little bit better for a couple of weeks. Today’s performance represents a two-month high, with bitcoin reaching prices we haven’t seen since May 22nd. To put this into perspective, bitcoin is back to its price of November 22nd 2017. In other words, everybody who bought bitcoins before November 2017 is still in the black. 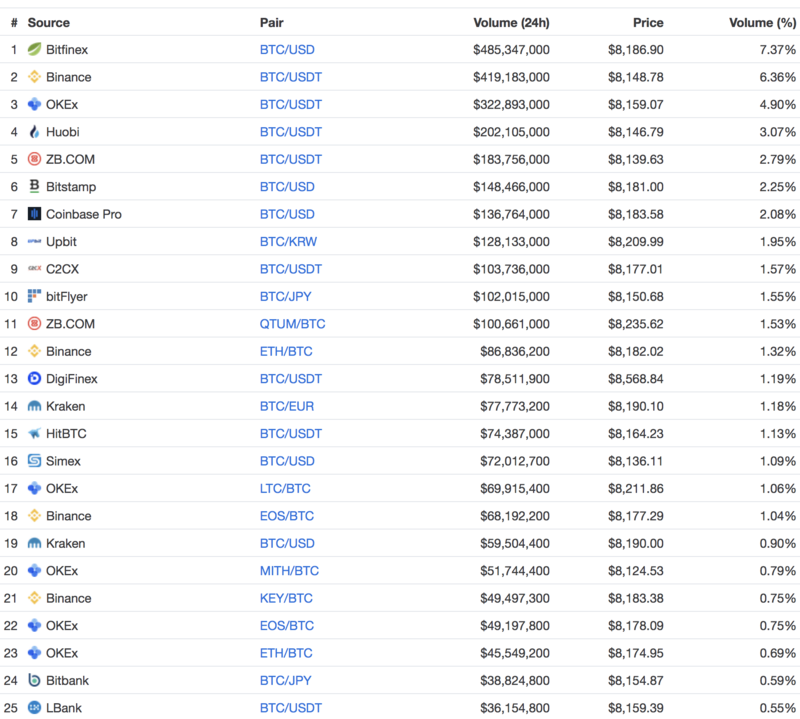 According to CoinMarketCap, people have traded the equivalent of $6.5 billion over the past 24 hours.